Published On Thursday, August 10, 2017 By admin. Under: Episodes, News, Only Fools and Horses. Only recently, The BBC have began making episodes of Only Fools and Horses available on I-Tunes, These episodes appear to be completely uncut. The Jolly Boys outing scene is intact, The Tea for Free scene is also intact. The whole series has not been made available yet so this cannot be confirmed fully, but there is now a much greater chance of an UNCUT DVD release. You can buy a whole series on I-tunes for around £8. Maybe the BBC have changed their policy? Only time will tell. 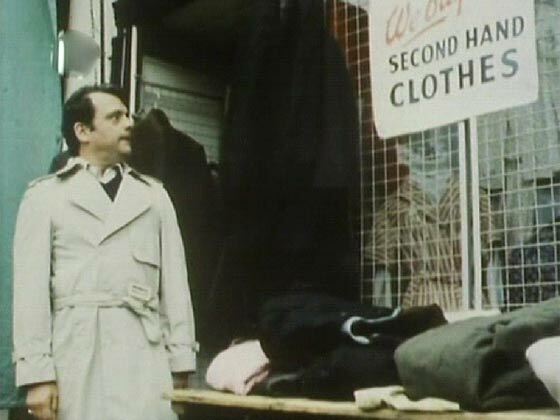 As you know, Only Fools and Horses is a great comedy. When you watch it on television, you enjoy the experience and look forward to watching it again in the future. Over the course of the series many episodes were produced with various story lines involving different locations and characters. When these episodes were released on DVD, some cuts and edits were made which removed some scenes that were present in original broadcasts. The cuts have been listed in order of series and the specials have been placed at the end. It should be noted that these cuts only apply to the UK DVD/VHS releases. The only UK DVD release which is different to the normal release is the Royal Flush DVD from the magazine collection and the Royal Flush VHS. These are unfortunately no longer in production. Releases from other countries and older UK releases may not contain every cut listed below. Also note that the minor cuts because of offense are not listed. These are so small and are very hard to notice that it does not really effect content. Offense cuts are made to DVD and TV Broadcasts and our only uncut on the US DVD. Series One of Only Fools and Horses has one major cut that applies to every episode in the series. The original introduction and credit music by Ronnie Hazlehurst has been removed and replaced by the John Sullivan version. Sullivan’s version was originally only used from series two. 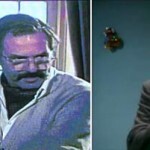 The original music can still be heard on television broadcasts but only in episode “Big Brother” and the 1981 Christmas special “Christmas Crackers”. It has been completely removed from the DVD apart from a small sequence in the episode “Big Brother”. There is also one minor cut which occurs in the “Cash and Curry” episode. No scenes are removed but the music track “Money” by Pink Floyd is replaced with a similar track. This track is played over the flicker effect scene where we see Del and Rodney selling their items to raise cash. Most fans would love to see the originals put back into the DVD releases. Additionally John Sullivan’s commentary along with production comments must be a great way to provide some extras on a re-release of this wonderful comedy. Later in this series we will reveal one episode with 18 minutes cut out! – it went from 76 minutes to 58 minutes! On Vimeo you can download the videos straight from the site, so I burned them on DVD using ConvertextoDVD4 and placed them nicely in my Box Set. I was really shocked by just how terrible A Royal Flush actually is in my boxset, it barely makes any sense, im glad I now own the Uncut version. Where can I find the uncut episodes on Vimeo? I have recently been working very hard to obtain all episodes of OFAH completely uncut with all scenes ever recorded and all of the original music tracks. I have successfully succeeded but I need to obtain the original broadcast versions of Class of 62 and A losing Streak in order to get the original dialogues of Del & Triggers line PROVO & PRAT. Other than these two dubbed scenes, I have every episode completely uncut. I would love to share the uncut scenes here if I’m allowed in one video clip. I have even edited the original theme tunes into series 1 (something I’m extremely proud of). Can anyone help me out? I think the provo line was removed before the original broadcast, it doesn’t exist. ALL OFAH SPECIALS ON UK NETFLIX UNCUT!! I have just been looking through Netflix and see that they’ve added more episodes to OFAH, it’s all the specials and thank god they’re uncut. The one’s I have tested so far are Jolly Boys Outing and Miami Twice Part 1 & 2. These are both fully uncut and not missing any lines and also Miami Twice is in 2 parts as originally was. As far as I know it is just the specials that are uncut and they at the moment only have Season 1, 2 and the specials. I am checking out more of the specials now to see if they are all uncut but if they are, this could be very good news and we could have all the uncut versions of each episode re-released on DVD or on demand. I have just watched ‘Oh to be in England’ on Netflix. Unfortunately its not fully uncut. bizarrely it has the missing DVD scenes, but for some reason the conversation with Del and Rodney on the plane is heavily cut. Also when you first meet ‘Don o’ketty’ there is a small cut. There is a new site called the BBC store. It has Jolly boys uncut. What about other episodes, are they uncut too? 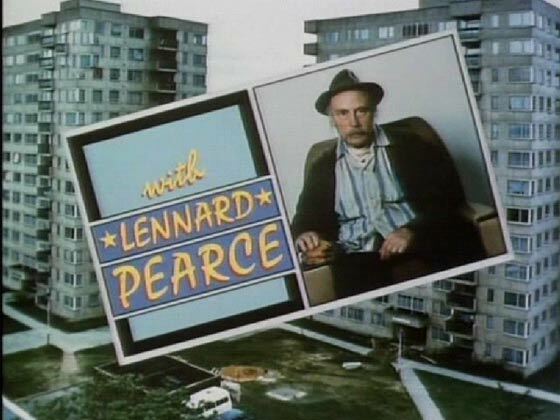 It has the scene with Yvonne singing and the missing dialog ‘A couple of em are dead’ when Del is talking to Albert, but there is some dialog missing when they’re sat around the dinner table talking about ‘Big Brenda and her being Southern area shot-put champion. Don’t understand why they cut it out as this is in the DVD version.. Tea for Three is fully uncut. Do you know anyone that has the uncut version of Yuppy Love? Lee do you have an email? Have you still got a copy of the uncut version of yuppy love ? 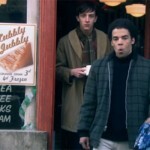 any references to somebody’s skin-colour or sexuality is now edited from OFAH epiosdes on GOLD. Not true, there’s a reference (and quite a poor joke) about lesbianism in Yuppy Love. apparently there is 20 mins worth of unseen footage from If they could see us how episode. Wouldn’t this be a great dvd extra ! I would love to see what episode was like has this been left in. GOLD on sky digital are getting worse with the OFAH cuts. I used to like the fact that you could always rely on GOLD to get the missing scenes, but GOLD are now slowly hacking the episodes aswell. It might not be GOLD doing it, where ever they sourced the episodes from for the remastered episodes some of them were cut, maybe they used the DVD versions because they were of better quality. I think the reason tea for three was cut, was to stop the episode from over-running, but I could be wrong? it’s not so much the TV broadcasts on GOLD, it’s the DVD/video releases of this episode which is hacked to pieces. Watching the Fools faveourites on GOLD just now, and Sir David Jason himself bemoans the fact they cut some of his dialogue in Tea for Three whereby he said the speech he gives when he arrives back at the flat was pure gold, but half of it was cut. For fucks sakes, BBC. Utterly clueless gimps who run that corporation. 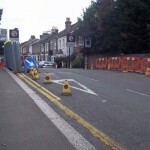 South London education for you! any chance someone on here has the i tunes versions and can upload them? Hi, I’ve been watching ofah in the afternoons(lack of work) and have clearly forgot how funny the gang was, anyway I wanted to relive them moments from childhood and get the box set, BUT after reading what’s been going on with the edits on the DVDs …don’t really feel like paying for something and not getting it all, so I thought I’d go down the VHS route as these might not be so edited.. Does anyone know what state of edit the VHS tapes might be in. Do us a copy would ya, Jon?! do you have Yuppy Love uncut Tim?? Think I’ve only ever seen the uncut episode on’t tele a few times. It wasn’t even on my VHS from like 20 odd years ago. Yeah i kno it used to be repeated on GOLD until the made the remastered versions. Do you know anyone that could have it? According to another only fools fan, I-Tune versions are also cut but not in the same place as the DVD’s, The mystery continues. what annoys me is episodes like maimi twice,jolly boys outing and a royal flush – especially a royal flush, i have the 2004 rerelease and it is a joke – there have been nearly 20 minutes removed because john sullivan felt the episode cast del in a bad light. I did not know that Life On Mars was cut on the DVD’s…this is surprising.. I think the biggest cut I have noticed for OFAH is “Tea for Three” which has cuts right from the start – such as Albert singing Ada…and a whole conversation at the “tea” table….which I could never understand why it was cut. Thank you, some brilliant articles on the website. The BBc have certainly let many fans down with this countless editing, we want the originals and are willing to pay. Thanks Mohammed, i’m trying hard to make the Only Fools aprreciation Society web site an improved experience.